It’s been said over the years: now is the most wonderful time of the year, particularly for retailers! The holiday shopping season is just around the corner. As a retailer, you may find yourself on the “naughty list” if you don’t have SpeedPro Imaging, the nation’s most trusted printing partner for retailers, on your priority list. Holiday shopping is big business. The stakes are high – especially this year. The National Retail Federation anticipates holiday sales in 2017 will rise up to four percent compared to 2016. Up to $682 billion in holiday retail sales will be spent during November and December. Simply astonishing. Nostalgia is “in”: Shoppers are craving retro. The path to purchase will start earlier: Shoppers are beginning to spend NOW. Omnichannel is the new normal: 66 percent of shoppers browse online, then buy in a store; 61 percent order online and collect in a store. Click and collect/click and ship to blossom: According to the data, 79 percent of online shoppers use in-store pickup if it’s offered – and 71 percent of those shoppers make an additional purchase during their visit. You get one opportunity to make a first impression. Let SpeedPro Imaging serve as an additional salesperson for you. One study found it only takes a tenth of a second – the blink of an eye – to make a first impression. Are you willing to gamble that shoppers will be drawn to your store by mundane, lackluster graphics? Didn’t think so. That’s why we’re here to help you entice those shoppers, and at the same time earn praise from those managers at corporate. SpeedPro Imaging has a proven graphics solution model that can be tailored to your needs. We do not take a one-size fits all approach. Our goal is to provide Big. Bold. Graphics that fit your vision, your goals, and your brand. Take for example the work of Dave Higgins, owner of SpeedPro Imaging of Harrisburg (PA). 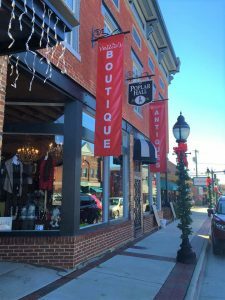 Higgins, like hundreds of experienced SpeedPro Imaging studio owners across the country, has extensive knowledge of how to make a retail space POP! 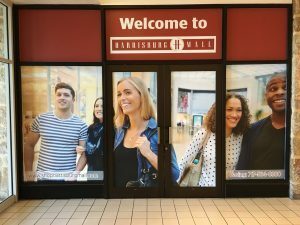 Higgins has provided a variety of malls in the Harrisburg area, including the Colonial Park Mall, Harrisburg Mall and Capital City Mall, with exquisite and mesmerizing window, exterior and interior graphics. The owners of the Capital City Mall were so impressed, Higgins was tasked with the assignment of transforming the company’s headquarters in Philadelphia. Higgins also had the “sweet” honor of outfitting the Hershey Corporate store, where he helped craft a whole new merchandising campaign. SpeedPro Imaging, the nation’s most trusted printing partner for retailers, has a solution for you this holiday season, no matter the size of your wish list. Changing weather and consumer needs call for branding and design that can keep up. Replace campaigns on the turn of a dime with easy installation and removal, weather-proof materials, and unlimited options for any season. Let’s sit down and discuss the powerful solutions we have on hand to help you attract even more customers, especially while the iron is hot! 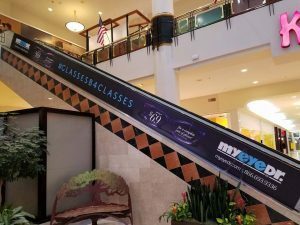 Indoor & Outdoor Signage: The benefits of indoor/outdoor graphic materials are remarkable. They can be easily changed seasonally, providing you opportunities to cash in on holidays year-round. Our outdoor signage is the definition of durability, and can withstand all the elements. 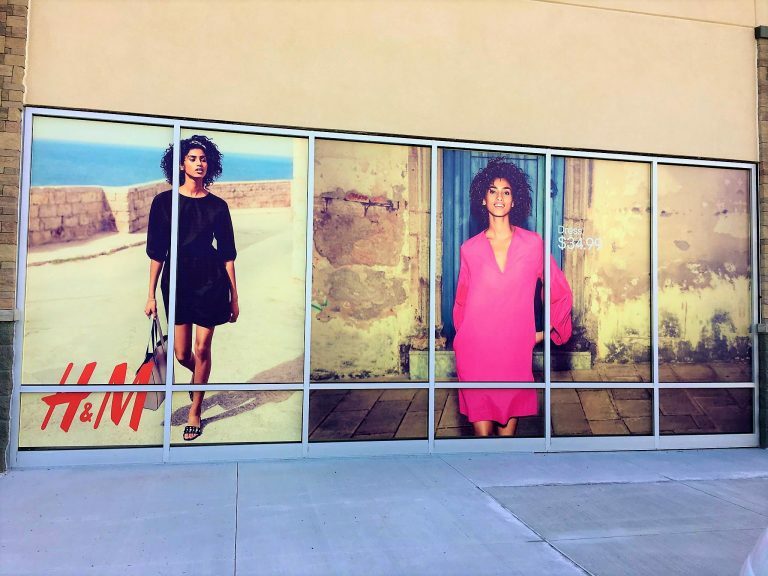 Window Graphics: Does your store feature unused windows? Let us help you transform that glass into a winter wonderland! We professionally print window graphics in crisp colors on perforated film to capitalize on plate glass windows. Directional Signage: If you’re a large store, there’s a chance your shoppers could get lost. That’s when our comforting directional signage comes into play. The burden of providing directions often falls on staff, but clear signage can make life easier for all. Wall Murals: Wall murals are the perfect way to show off a product or service to the people who visit your business. Beautiful images can easily be refreshed when the new products roll in. Floor graphics: Command attention from the ground up, and wow the crowd with show-stopping floor graphics. Point customers to their favorite outfits or electronic devices. The floor graphics we provide are designed for durability from a few days to six months or more. Flags: Branded feather flags take great visual advantage of the large dimensions of many retail outlets. They are adaptable, and can be printed with images that shift with the changing wind. We’re ready to help make this a prosperous and happy holiday shopping season. We have the ideas and printing solutions to make your holiday marketing efforts a success. You can unwrap our options when you visit speedpro.com, send us an emailor call us at (844) 274-4784.